Interview with Kimi of Golden Lasso Cosplay « Adafruit Industries – Makers, hackers, artists, designers and engineers! Cosplayers are some of the most creative and resourceful people I know, and Kimi of Golden Lasso Cosplay is prolific and talented. 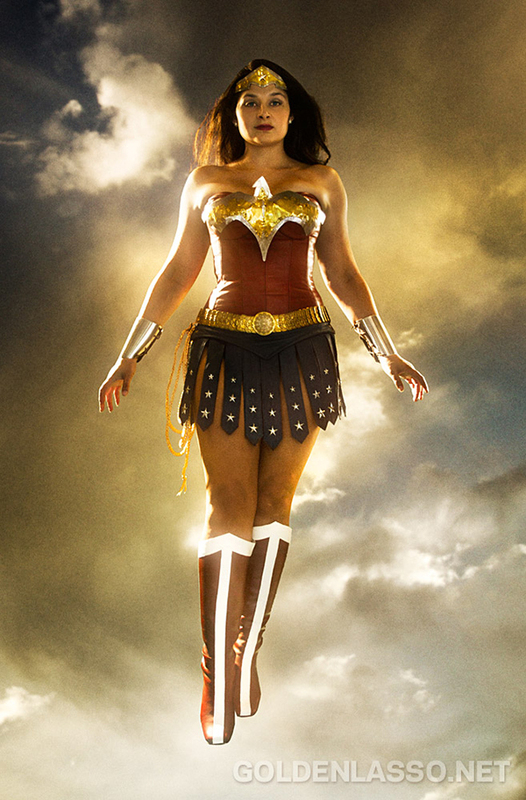 She’s made and worn costumes such as Wonder Woman, Lady Sif (featured on Adafruit here), steampunk Batgirl, Big Barda, superhero Merida, and more. Each time she’s tackled a new costume, it seems like she learns a new skill. She pushes herself, and she shares her knowledge with her friends and on her website. From firsthand experience, I can tell you she’s patient and generous with her time. We talked with Kimi to learn about challenges she’s faced when making costumes, favorite materials, advice she gives new cosplayers, and more. Kimi: Since I started costuming? I’ve lost count. Since 2011, I’ve made over thirteen costumes to wear to different events, and a number of other costumes for independent short films and other projects. It’s not a huge amount, some cosplayers make that many outfits in a single year, but I am proud that I get that many done with my career and busy life outside of cosplaying. Adafruit: Which costume has been the most challenging to tackle? 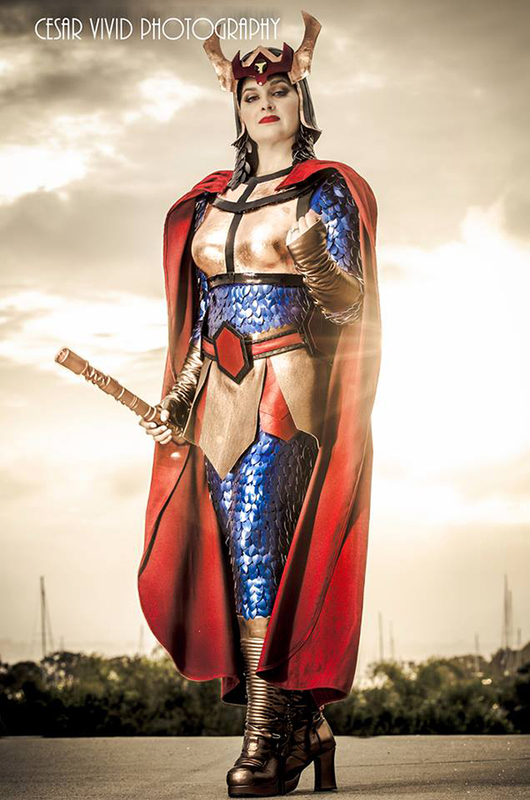 Kimi: My Big Barda costume was easily the most challenging that I have done so far. Barda is one of my favorite characters, and her design is inspired by samurai armor from Japan, but is still very futuristic looking. Creating the body suit of scale maille was incredibly time consuming, but the finish on the armor was the hardest. 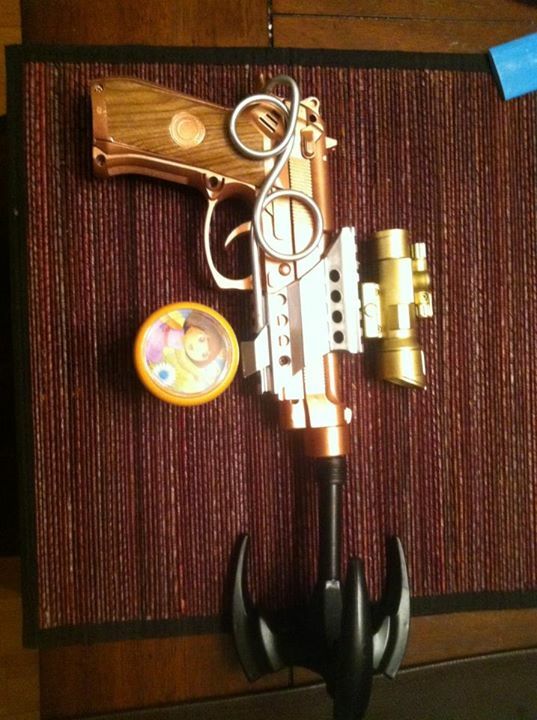 The paint has to be shiny and perfectly smooth. I spent hours and hours sanding before I even started painting, then used very fine sandpaper between each coat of paint. I finally finished off by using copper leaf on the areas that needed a metallic finish, and layer after layer of clear coats. 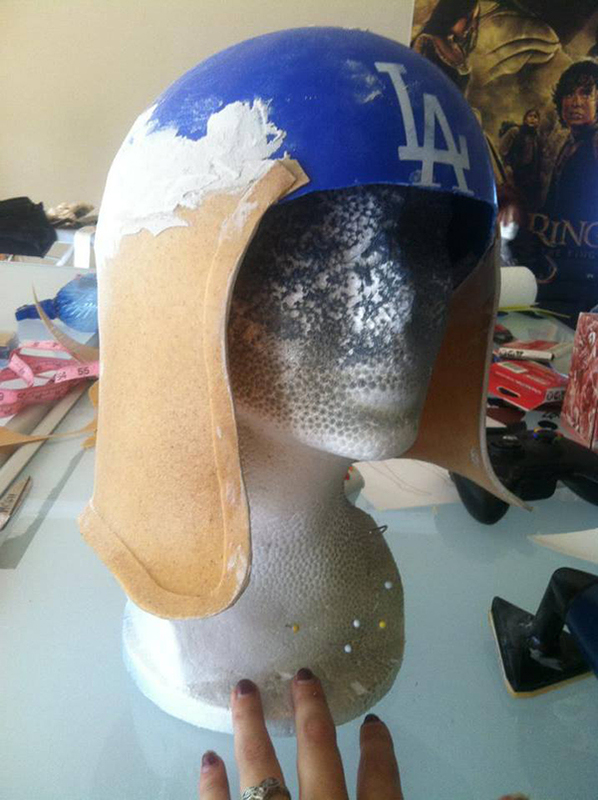 I was incredibly proud of the result, especially the helmet. Kimi: I love working with leather. It’s a challenging material to work with and doesn’t allow for mistakes. There are a ton of great materials on the market for costumers, but there is a richness to leather that really adds depth to a finished costume. Adafruit: What are some new skills you’ve had to learn to make your costumes? Kimi: Sheesh! I’ve learned so many things! Every costume is a learning experience at some point. I’ve learned to work with a variety of foams and plastics, which have really opened up a whole new level of complexity to the costumes I am able to create. I’ve learned to create armor with leather, ring, and scale maille. Right now, I am learning to work with metal, which is not something I ever pictured myself doing when I started sewing. Adafruit: Any tips or tricks to offer other cosplayers, especially newcomers to the hobby? Kimi: I always give new cosplayers the same advice: 1) plan your whole outfit, including the amount of materials you will need and how much they cost, before you start. The costs can really add up if you aren’t careful. 2) Carefully read the care instructions before buying fabric so that you can know how to wash and care for your costume after it’s finished. I generally use my phone to take a picture of the care instructions for future reference, just in case I ever forget. 3) Search the web for tutorials! You can learn to create just about anything from the wonderful guides that other hobbyists put together. 4) Have fun! There will be frustrating times, but if you don’t enjoy yourself overall, what’s the point? Check out Golden Lasso for detailed cosplay tutorials (full costumes and components/accessories) and follow Kimi on Facebook and Twitter to see in-progress photos of her latest costumes.